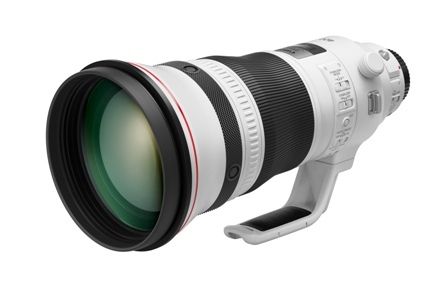 Canon today announces the new EF 70-200mm f/4L IS II USM professional telephoto zoom lens, raising the bar of the well-regarded Canon EF 70-200mm f/4L telephoto zoom lens series which has been a popular option for photographers and amateurs in need of a long focal length with compact design for high mobility. The new EF 70-200mm f/4L IS II USM features numerous updates over its predecessor. Most notably is it being the first EF zoom lens equipped with an Optical Image Stabilizer with up to 5-stop shutter speed1 of correction for much greater handheld shooting flexibility. Coupled with the newly added IS Mode 3 designed for sports photography, users can enjoy crisp capture of motions of fast-moving subjects more comfortably. With shortened minimum focusing distance of 1m and 0.27x maximum magnification, the lens allows users to work closer to small subjects and capture more intricate details, enabling easy change of composition from telephoto to close-up. Being a Canon L-series lens, EF 70-200mm f/4L IS II USM inherits the same overall build-quality, ruggedness and weather resistance4 capability, and is designed to serve professional and advanced amateur photographers in a variety of applications and solutions including wildlife, landscapes, portrait and sports photography with excellent image quality and flexible, reliable operability. Image stabilization plays a crucial part in telephoto photography. By comprising a newly designed low-friction Image Stabilizer unit based on the design from EF 100-400mm f/4.5-5.6L IS II USM and a new high-performance control CPU with improved processing speed which enables the adoption of high-performance gyro and improved algorithm for enhanced IS performance, EF 70-200mm f/4L IS II USM becomes the first EF zoom lens equipped with an Optical Image Stabilizer that provides shake compensation up to 5-stop shutter speed1. The drastic improvement from the previous 3-stop 2 to 5-stop 1 shutter speed of correction means greater imaging possibility and handheld shooting flexibility. Even at scenes where a tripod cannot be used, or shooting handheld in dim-light, indoors or at night, it is still possible to capture crisp, in-focus images with ease. This is beneficial for any handheld shooting scenario, not only photo but also video, such as at film premieres, or shooting wildlife on safari. Shot with IS ON. 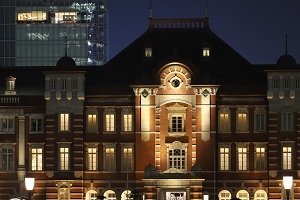 Thanks to the 5-stop1 image stabilization effect, image is sharp even it is taken handheld at 1/6s at 200m tele-end. Shot with IS OFF. 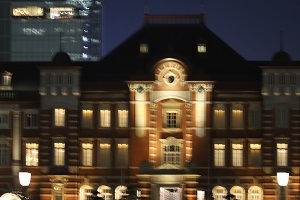 Image is blurry and lack of details due to camera shake. It is impossible to shoot handheld at slow shutter speed of 1/6s without IS. The Optical Image Stabilizer of EF 70-200mm f/4L IS II USM features 3 IS Modes to provide outstanding results in a wide variety of shooting situations. In addition to IS Mode 1 for normal shooting and IS Mode 2 for panning, IS Mode 3 designed for sports photographers is newly added. Among these modes, IS Mode 2 is improved with algorithm as found in new generation fast telephoto lens such as EF 300mm f/2.8L IS II USM, which achieves higher precision in shake compensation with reduced backlashes in viewfinder during panning shots by detecting the panning direction more effectively; while IS Mode 3 is specially catered for capturing dynamic subjects with random movement, such as football or basketball players whose moving direction and speed are random. When the shutter release button is half-pressed in IS Mode 3, the IS compensation lens will be locked electrically at the center of the optical axis, image in the viewfinder moves more naturally without backlashes, while shake compensation keeps being calculated. Only when the shutter release button is fully pressed, the IS lens will be activated immediately and uses the data calculated to provide shake compensation during exposure. EF 70-200mm f/4L IS II USM also newly supports the “Panning” Special Scene Mode of compatible cameras such as EOS 6D Mark II3. During Live View Shooting, this lens can correct shake based on the information including the camera sensor’s analysis of the subject’s moving speed and direction. This function can provide compensation for both panning speed and shake along the panning direction which cannot be corrected with conventional panning. As a result, the overall image stabilization for panning is improved, helping users not accustomed to panning to create professional panning effect. EF 70-200mm f/4L IS II USM features a newly developed optical design with 20 lens elements in 15 groups, with the use of 1 fluorite lens element and 2 UD (Ultra-low Dispersion) lens elements to provide excellent correction of chromatic aberration commonly observed in telephoto lenses, delivering high-resolution and high-contrast images throughout the entire zoom range. With the adoption of the optimized Super Spectra Coating, ghosting and flare have been effectively reduced under different lighting conditions and angles. A 9-bladed circular aperture is also featured to help producing beautiful bokeh effect for more enchanting nightscape and portrait shots. Comparing to its predecessor, the lens’ first lens element has been moved forward and the shapes of 8 lens elements have been changed to realize a shortened minimum focusing distance and suppress lens aberration at close focus distance. As a result, the minimum focusing distance of EF 70-200mm f/4L IS II USM has been shortened to 1m with a higher maximum magnification of 0.27x (at 200mm), comparing to the 1.2m and 0.21x on its predecessor, empowering photographers with greater flexibility to get closer to their subjects and capture more dynamic close-up shots with fabulous details. In addition, the lens’ focal length can be extended instantly with the compatible Extender EF 1.4x III or EF 2x III to further expand the shooting possibility. The high versatility makes the lens the perfect companion for photographers demanding high image quality as well as the flexibility to cater to a wide range of scenes and compositions with just one lens. EF 70-200mm f/4L IS II USM features an inner focus system and ring-type USM (Ultrasonic Motor), working in conjunction with a new high-performance control CPU and newly developed firmware, to drive greater speed and accuracy in achieving high-speed, smooth and silent autofocus for photo and video shooting. Full-time manual focus is also available for fine focus adjustment even when AF mode is engaged. Benefited from the inner focusing design, lens’ length remains unchanged to minimize instability arising from the shift of center of gravity. The front lens element also does not rotate during focusing, making shooting with polarizing filter mounted much easier. 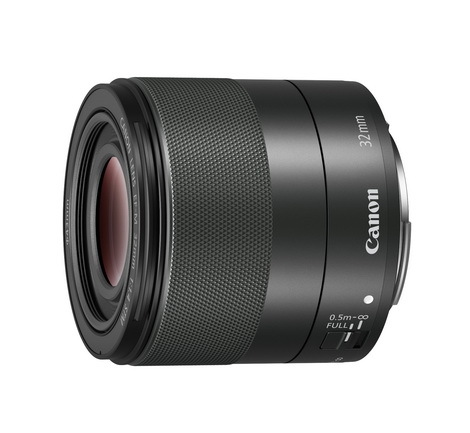 Weighing just 780g, EF 70-200mm f/4L IS II USM inherits the compactness, reliability and rugged construction that Canon f/4L telephoto zoom lens series is renowned for. A number of updates are also made to the lens’ exterior design. In addition to adopting the white minimalism design same as other L-series lenses lately introduced, the switch panel is now integrated into the lens body to minimize the extruding portion to bring better operability, while a widened focus ring also provides better handling. Photographers can rely on the lens to perform in vastly challenging environments, with excellent dust and water resistance design4 to provide the durability that satisfies the strict demand of professional users, making it ideal for wildlife photographers working in outdoor environments, or sports photographers on the sideline grabbing action shots of the big game. The lens also newly features fluorine coatings on the foremost and rearmost lens surfaces to repel dust particles and water droplets. It also makes smears and fingerprints easy to remove without the use of lens cleaning fluid. The lens is compatible with a range of accessories to enhance the shooting experience, including the bundled new Lens Hood ET-78B and Lens Case LP1224. A new optional Tripod Mount Ring A II (WII) is also supported to allow more stable shooting on tripod as well as quick and smooth switching of shooting orientation without the need to adjust the tripod. 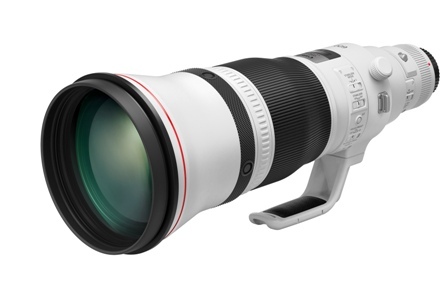 The new Canon EF 70-200mm f/4L IS II USM professional telephoto zoom lens is now available for sale in Hong Kong and the suggested retail price is HK$10,680.